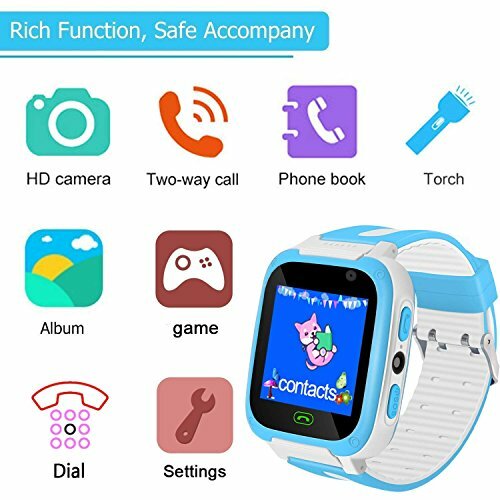   Kidaily PHONE smart watch fits for 4-13 year old kids, with TWO-WAY phone call, GAME, CAMERA, Bluetooth. ALARM CLOCK, Night Flashlight. This is a great gift for every child to enjoy entertainment and learning. 1. Our watch is made of soft silica gel, and the strap is comfortable and stable. 2. Use the telephone directly to communicate with children easily and easily. 3. Loudspeaker ultra-low radiation, HD touch screen, visual enjoyment. 4. Insert the SIM card to text and call and listen. 5. Use a computer to upload photos of the watch to the computer.  Languages: English, Français, Español, Português, Deutsch, tieng viet, türkçe etc. 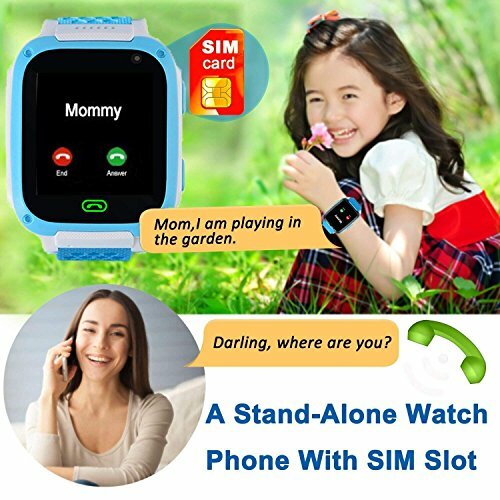 The network mode of this kid smart watch phone is GSM 2G .The call function of the is only activated after a Micro SIM card is inserted. You can also buy other GSM network SIM Card. 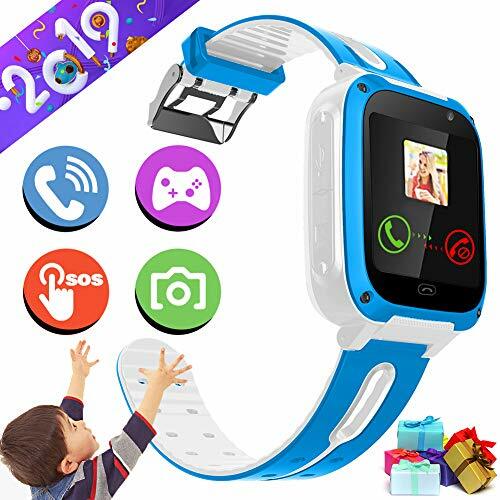 We’d like to recommend to use SPEEDTALK SIM Belongs T-mobile Network. PHONE SMART WATCHE FOR KIDS – Don’t miss this belong to the child’s own private smart phone watch. Best gift for kids with pretty box. At the same time, we recommam a Speedcard SIM card worth $10 for you. The monthly call plan costs as low as $5, saving you unnecessary expenses. 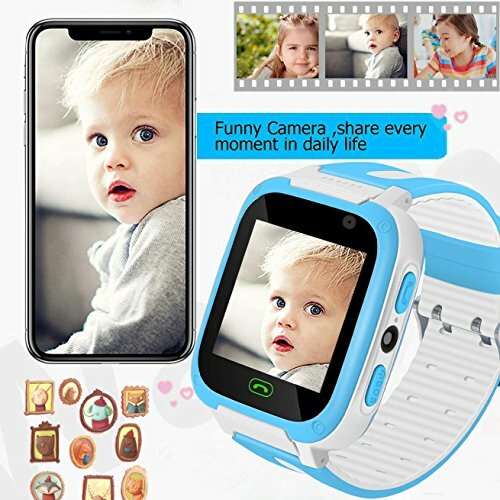  MULTIPLE FUNCTION KIDS SMART WATCH – Fits for 4-12 year old kids, 2019 NEW VERSION kids watch with 2 fun GAMES (Copter and Frog Candy) exercise the child’s reaction skills. Multilingual support, CAMERA, Night Flashlight, Alarm Clock, USB charging standby time of 5 -7 days. More to save energy. 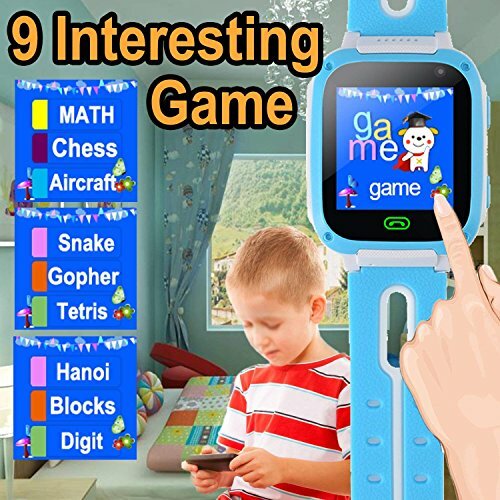 This is a great gift for every child to enjoy entertainment and learning. 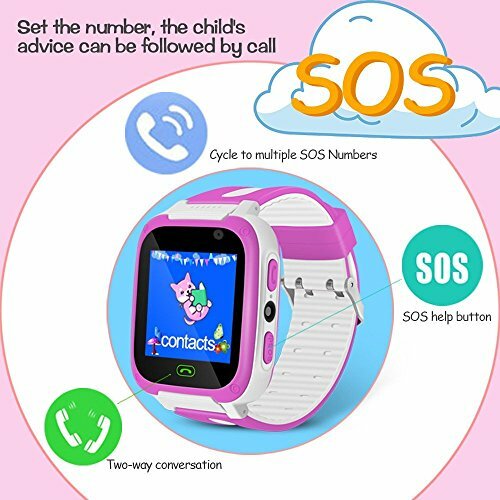    PHONE CALL SMART WATCH – Kidaily kids phone smart watch has 1.54″full-color touch screen for emergency Two-Way call, Emergency Call Feature, Class Do Not Disturb Mode: can select whatever scene suits you best(FOUR kinds of scene mode) It is very important for kids when they in class time or sleep. 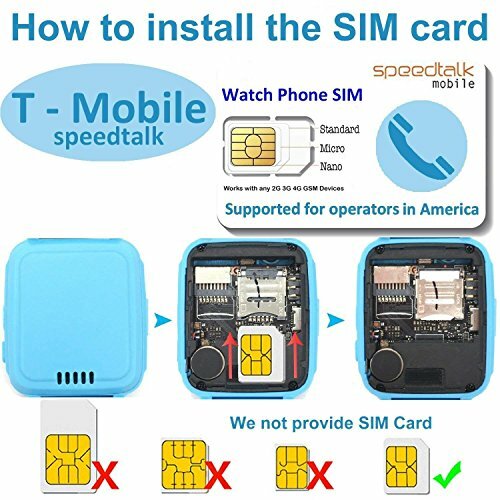  PERFECT WARRANTY SERIVICE GUARANTEE- If you dissatisfied, we support of return or exchange at any time, eliminating the customer’s dissatisfaction with the purchase of the SIM card. If you have any problem, Please feel free to contact us directly, we 24 hours online. And we will try our best to satisfy you.